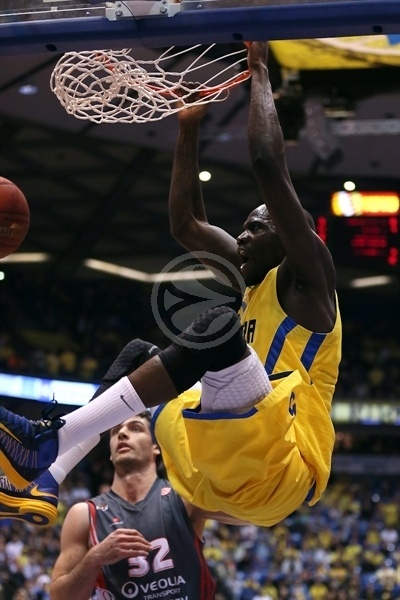 Maccabi Electra Tel Aviv booked its place in the Turkish Airlines Euroleague Top 16 with a hard-fought 78-73 victory over Elan Chalon on Thursday night at Nokia Arena. The Israeli champs ended a two-game losing streak and also Euroleague newcomer Chalon’s hopes of progressing to the next stage of the competition. 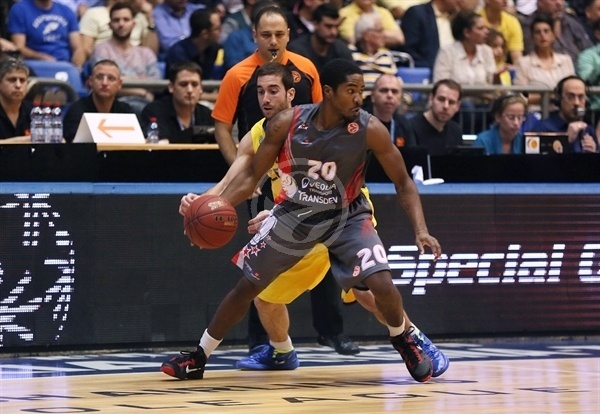 Maccabi improved to 6-2, while Chalon fell to 2-6. A final quarter rally decided the outcome with Devin Smith and David Logan playing big roles. 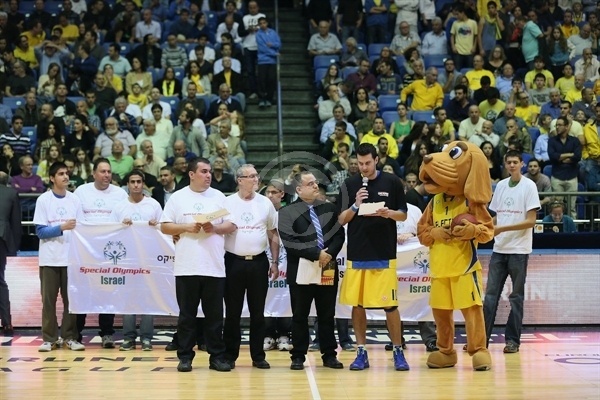 Smith paced Maccabi with 19 points, Logan added 17 and Shawn James posted 10 points and 9 rebounds for the winners. Brion Rush paced Chalon with 17 points, Blake Schilb netted 12 and dished 5 assists, Shelden Williams totaled 10 points and 12 rebounds and Steed Tchicamboud also scored 10 in defeat. 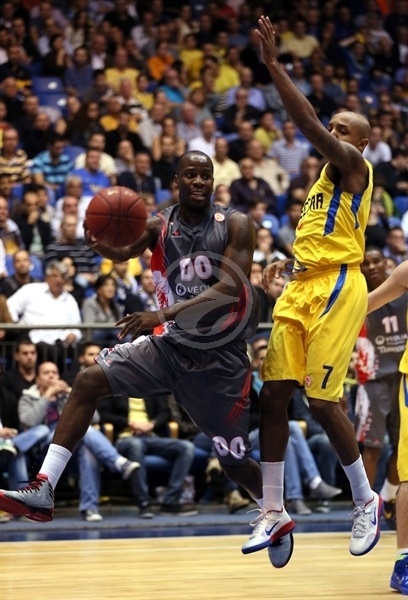 Elan Chalon set the early tone with the opening basket of the game, as Rush sent down a triple. The intention seemed to be going for big points early, as Ilian Evtimov notched another shot from outside, but keeping Maccabi ahead was the equally accurate Smith, who hit 3 three-pointers in the opening five minutes of play and helped push Maccabi to a 17-10 lead. Tchicamboud and Schilb kept up the trend of triples with 3 deep three-pointers. Eight unanswered points for Chalon put it 20-21 up. In a quarter full of threes, Chalon ended with another from Schilb and Maccabi used a Logan layup to make it 14-26 at the buzzer. 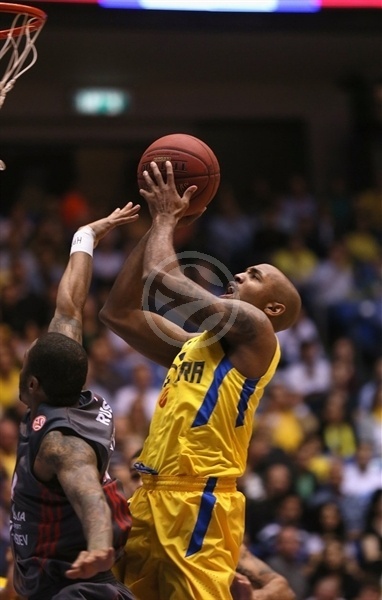 Maccabi got back level straight away in the second quarter, off a Nik Caner-Medley basket inside. The previous sharp shooting from both sides was replaced by poor percentages, with the crowd in Tel Aviv getting restless. Boos and whistles rang out in the arena, only growing as Chalon’s Jordan Aboudou sent down a highlight reel dunk. 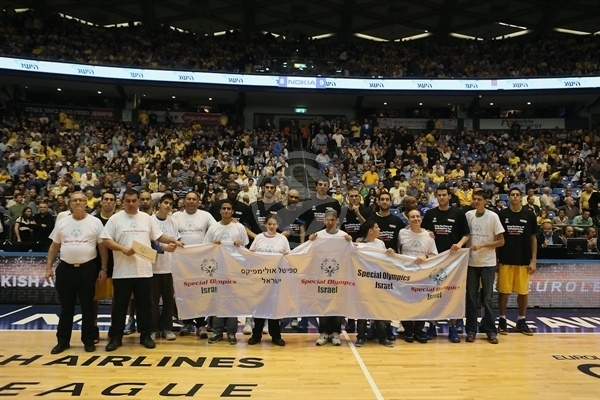 Maccabi went four minutes without a basket, before Coach David Blatt had seen enough and called a timeout. 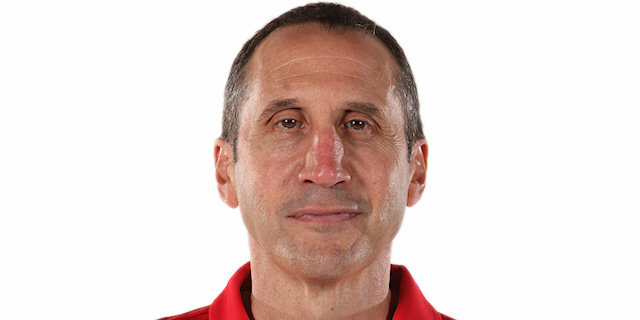 Down 28-38, Blatt urged his players to hustle more, and the tactic paid off when Logan sank a triple to make up ground. Two baskets from Maccabi big man Giorgi Shermadini brought things closer, although there was still a 35-42 advantage for the French champs. Williams added to the excitement with a huge block for the visitors, showing that there was tough defense involved in the game as well as slick offense. 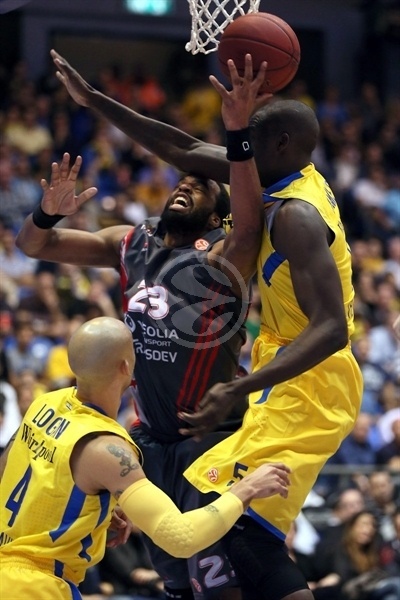 Going into halftime, it was the underdog, Chalon, that was up 38-43. During the break, however, the surprise game leader’s night took a bittersweet turn: Alba Berlin had held on for a tight victory over Asseco Prokom Gdynia, and Chalon would be out of contention for a place in the Top 16 unless it could hold on for the win. Evtimov made sure that it was his team that maintained control at the start of the second half, hitting a basket that established a 38-45 lead. 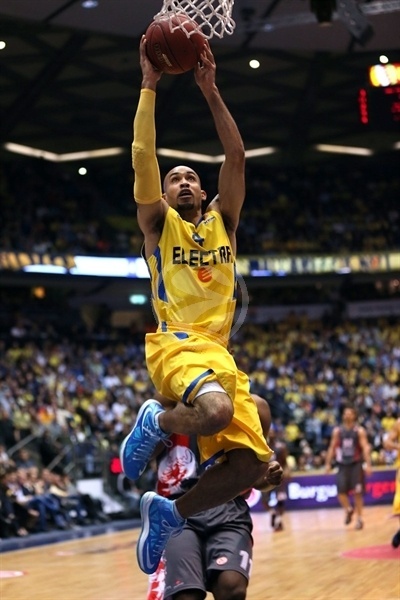 Maccabi kept its opponent within reach with key baskets at critical times, like Smith’s dunk following a Rush perimeter shot. Malcolm Thomas opened his account for Maccabi with a putback dunk off Ricky Hickman’s drive, then Smith put in his 15th points from a steal and fast break layup. The home side was not out of the game by any means, as the run of scoring had brought the score back to 54-56. Chalon had cause for concern when Yogev Ohayon finally put Maccabi level, but responded with Schilb hitting a big jump hook and then a running jumper in the lane. Once more, the underdog visitors ended the quarter in front, 58-60. Chalon had committed few turnovers coming into the fourth quarter, but one at the start of the period left Logan free to dunk for Maccabi. JBAM’s spin move brought Chalon back ahead and, while Maccabi could pull level repeatedly, taking the lead was proving near-impossible. It finally did so, for the first time since the first quarter, from a James layup. Hustle, persistence and the desire to win took over in the final quarter, as neither team showed any restraint on offense. Logan put Maccabi 67-64 up with his third successful perimeter shot of the night, setting up a final five minutes not to be missed. Hickman’s layup from a fast break pulled out a 73-67 advantage that deflated Chalon, while James’s basket all but ended the visitors’ brave challenge. James threw down a late dunk to add his contribution to the play of the game highlights, and not even Rush’s 2 three-pointers in 9 seconds could save Chalon. A 77-73 win for Maccabi took the host into the Top 16 and the visitor had to say ‘au revoir’ to its chances of qualification. 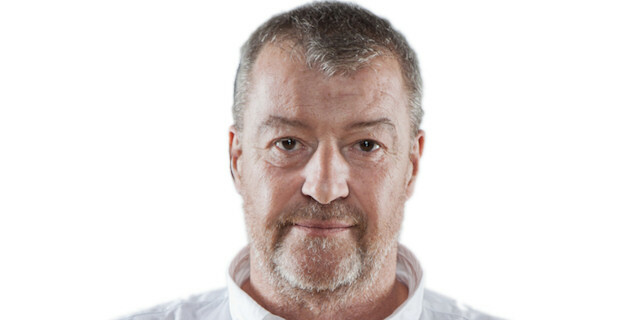 "I think Chalon played very well, they came with a good, strong mentality for the game. They've been playing very good basketball for some time now. In the back of our minds, perhaps the fact that we beat them by 30 points in an away game led to a mental let down on our part, something you really can't do against a team with as much talent as they have. That's probably why the game was as close as it was. It was a very important game for us, and it was a tough game for us, but in the second half we improved our defense and that also led to an improvement in our offense. We got the job done, and that's the main thing." "Today we beat the odds because today we really tried. We have a short roster and so our players got very tired. We played great, but we had turnovers at crucial moments because the players were tired. We can be better. We have been in the same position in other games, leading by 15 or so points, but then losing. 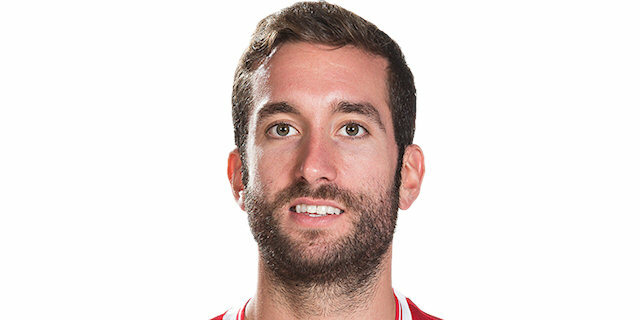 Good luck to Maccabi, it was a pleasure to play here." "We squeezed the lemon until the end. It was a tough not as far as shooting goes. Our game plan didn’t work in the first half. In the second half we managed to stop them and I’m glad that even in games like this we figured out how to win. There’s no question that a game like this against a stronger opponent won’t be enough, but things are still coming together for us and it’s the same for other teams. There’s no need to go to extremes. "